The return home isn't quite what she expected. 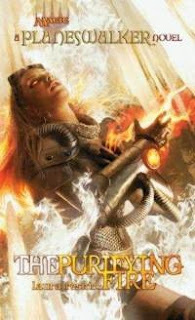 Chandra is shocked to hear that Gideon is from Regatha. Samir is confused that Chandra would be shocked because where else would anyone be from... and so Gideon stresses that yes he's from the city of Zinara to be more specific and he gives Chandra a look to stress that she needs to be more careful with what she says around people who don't know what planeswalkers are. To Samir, Gideon apologizes for Chandra being a little out of it because they've just been through quite an ordeal. When she denies that they've been through any such thing, Samir points out that she's covered in blood. Chandra realizes what a bloody mess cutting off Prince Valrev's head must have been and how she much look, but she insists she's fine. Samir accepts her word but insists that Gideon clearly is not, and says that they should go back to his place to patch him up. Chandra will have no more part of dealing with the treacherous Gideon, and is too angry to really notice the insistence in Samir's voice. It's Gideon that has to ask him to be more clear about what he's talking about, why Chandra isn't safe out in the open. She said dismissively, "I can handle a few angry oufes." "The problem has grown much bigger than that, Chandra," Samir said. "Much more serious." "How serious?" asked Gideon. "Two days ago," said Samir, "the inter-tribal council of the Great Western Wood agreed to capture Chandra and turn her over to the Order." Samir tells them to wait inside his hut, and says he'll be back with some water so they can wash up. As soon as her friend is out of earshot, Chandra gets in Gideon's face and demands answers. Demands to know how and why he followed her. He tells her that he was sent by Walbert to take her into custody. Not as a bounty hunter, but as something more like a soldier. Her presence has been known by Walbert since she arrived on Regatha. Known because she's not very discreet. 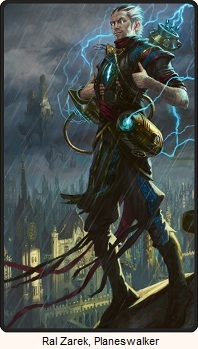 They've heard the stories of the planeswalker Jaya Ballard and how she was the inspiration of the founding of Keral Keep, and Walbert is quite a connected man and he put two and two together. Gideon himself came to Regatha for the Purifying Fire. 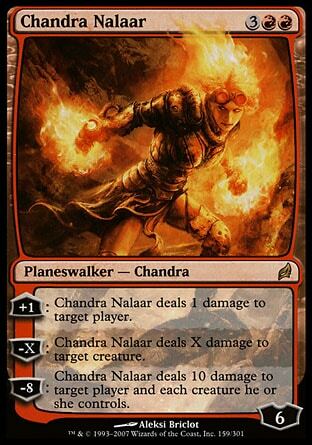 But before he could get access to it, he had to take Chandra into custody. What Walbert plans to do after that, Gideon has no idea, and he didn't particularly care at the time he was given those conditions. Then he heard about how Chandra killed an innocent ghost warden, burned down part of the Western Wood, and attacked four peacekeepers and the request seemed quite reasonable. Of course Chandra yells about how it really went down, according to her, and adds that Walbert has no right to outlaw ritual summonings either. 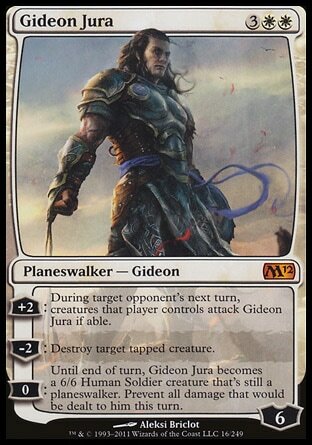 Gideon counters that it became Walbert's concern when the creatures summoned for dueling started attacking farmers and villagers on the plains because they weren't watched after when the dueling was complete. They looked at each other for a long, silent moment. "Things changed," he said at last. Yes. Things had changed. Chandra shifted her gaze away from him. "And then, when we escaped, I said I wanted to come back here." Her tone was sullen. "That certainly made things easier for you." "I wasn't thinking about that," he said. "I was thinking about being alive and together and getting away." A slight smile curved his mouth. "I never mentioned it, but I thought all along that the chances of getting out of there alive were pretty remote." A silence lingers between them until Samir returns with some water and healing herbs. While he dresses Gideon's wounds, he explains the situation. The inter-tribal council of the Western Wood, consisting of one member of every tribe or clan in the forest, was given terms by Walbert. 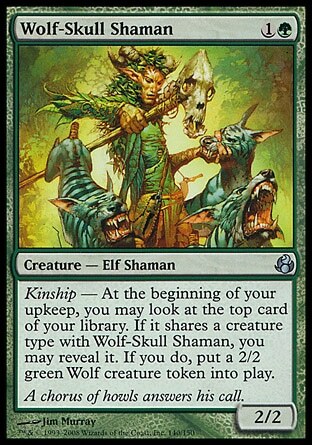 He agreed to pull out all his troops and ghost wardens from the forest if they agreed to aid in Chandra's capture as well as use intermediaries from the Order to settle disputes rather than their more violent, traditional methods. While Samir and some others spoke out against such a treaty, more agreed. Some because they wanted the presence of the Order out of their woods as soon as possible, some because they felt they'd be able to bend any rules they agreed to as long as they were no longer watched closely, and some because they blamed Chandra for the escalation of events. Regardless of the reasons, the Western Wood isn't a place Chandra can be seen in now. And now Keral Keep stands alone left alone to resist Walbert. The most confusing part of the whole situation is how insistent that Walbert wants Chandra captured and brought to him, rather than simply have her be killed. Samir is surprised that Gideon admits not knowing why that would be, because he assumed he had access to top level information, considering how important he seemed to be when the elf saw him during his trip to Zinara. What's certain however, is that Mother Luti and Keral Keep will never give in to Walbert's demands, and Walbert will do whatever is required to get what he wants. Chandra is friendless now, with no forest folk to back up her monastery. 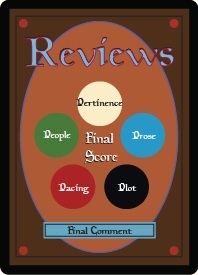 I could have done with less rehashing of the arguments, because it seemed fairly clear from the beginning that there was clearly a different way to interpret events despite seeing them through Chandra's eyes. I don't know that we needed to hear a retelling of events, but maybe it's important that Chandra hear those words from one of her peers rather than zoning out when Mother Luti lectures her.